Specimen Jar (Gas Jar) is transparent which is used for preserving different specimens in the lab and are provided with a cap that fits in tight. These jars provided excellent protection to the species preserved in it. 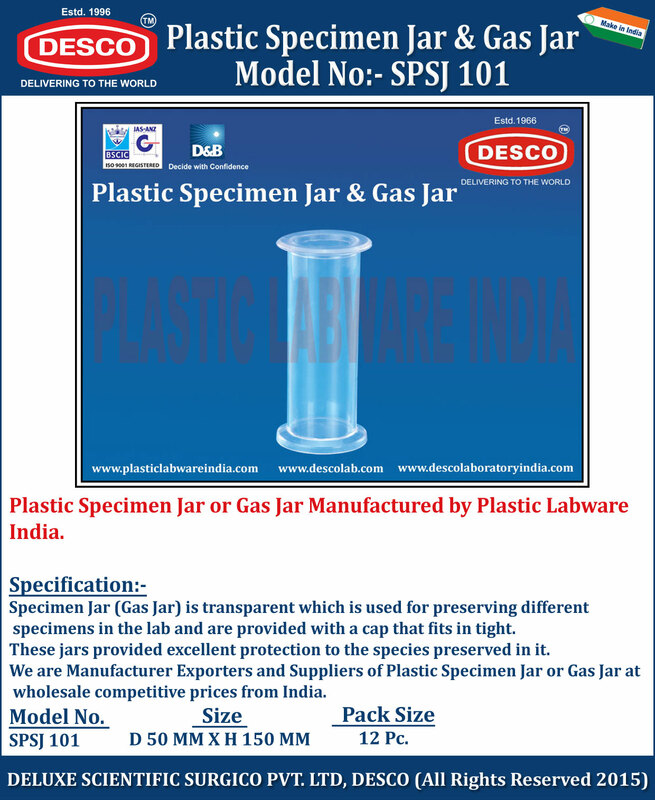 We are Manufacturer Exporters and Suppliers of Plastic Specimen Jar or Gas Jar at wholesale competitive prices from India. SPSJ 101 D 50 MM X H 150 MM 12 Pc.